I have been asked by a lot of growers on how to get rid of the “little Christmas trees” in their soybeans and corn fields. 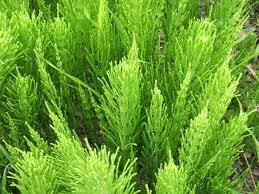 This weed has a lot of common names; little pine trees, Christmas trees, scouring rush, horseweed and others. 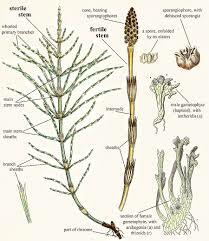 I refer to it as Equisetum. This weed is extremely difficult to control. There are very few if any herbicide options available. Purdue mentions a few that have activity but none that have control. This plant is very primitive, it is not a broadleaf or a grass. Relatives of this species were around at the time of the dinosaurs. This plant can reproduce via underground stems and by seed. If possible keep it mowed off to inhibit reproduction and spreading. Tillage can spread this plant to some degree. Please let us know if you have any questions on this troublesome weed. Following are some datasheets that give you more insight on this weed and how to manage it.